Fields will earn a base salary of $1.75 million in his first year as CEO of Ford. 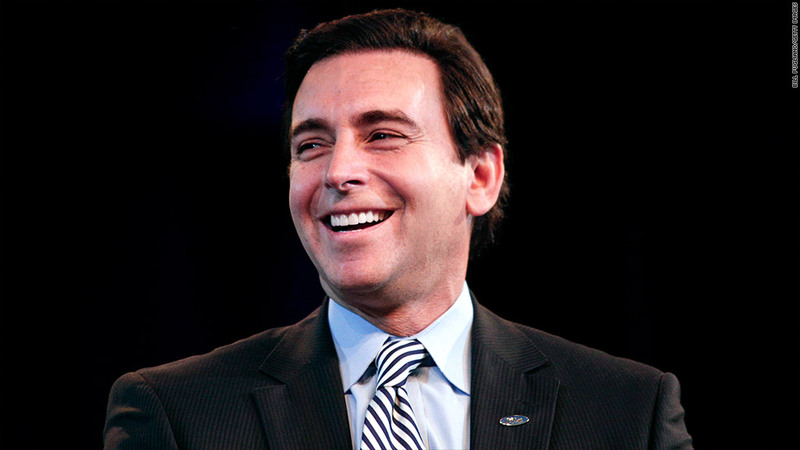 Ford's new CEO Mark Fields is getting a pay raise with his new title. The former chief operating officer officially became top dog on Tuesday, raking in a $1.75 million base salary, according to a regulatory filing. That's up 14% from what he was making as COO. His predecessor Alan Mulally earned a base salary of $2 million during his last year at the company. Ford also granted Fields a performance-tied bonus that could be worth $3.5 million, and 710,227 stock options, according to the filing. He could receive additional bonuses and compensation, but his total pay for 2014 won't be reported until next year. In 2013, Fields' total compensation was $10.2 million. Mulally's total compensation was more than twice that: $23.2 million. Mulally also amassed stock and options over his eight years at Ford that could bring him nearly $300 million in retirement. The former CEO is credited with saving the automaker from bankruptcy and a federal bailout, but Fields was also instrumental in the turnaround. 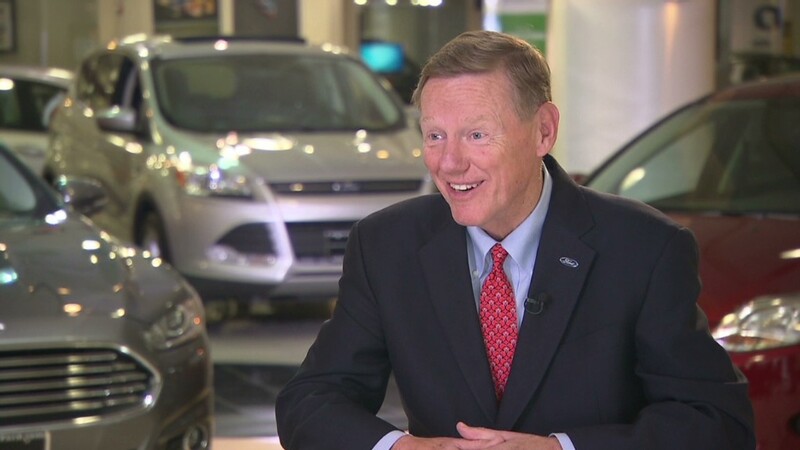 He was tapped as COO in late 2012, the same time Ford said Mulally would remain CEO until "at least 2014." Since then Fields, 53, has been running much of the day-to-day operations. What's next for Ford's Alan Mulally? Another perk: the new CEO will again be permitted to use the corporate jet for travel. Fields gave up that right in 2007 after being criticized for racking up flight mileage at a time when he was put in charge of stemming losses at the struggling automaker.